On Thursday police officers and residents in the Campground area ate together, as a notorious crack house was ripped to pieces and hauled away. 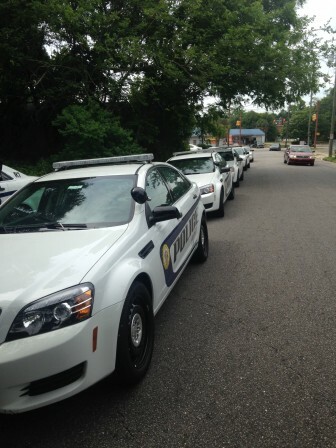 That is the last step in a lengthy process that has become a routine way for the Mobile Police Department to deal with properties known for repeated drug activity. Police Chief James Barber said the house at the corner of State Street and Kennedy Street has been a hotspot for drugs for decades. The heroin of the 70s slowly turned to crack in the late 80s, and for the last 25 years has been one of the only “open-air” drug markets in Mobile despite numerous raids on the property. 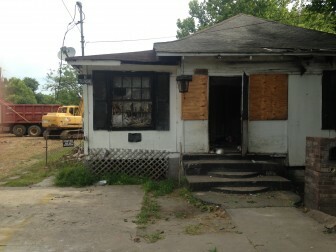 This home on Kennedy Street was demolished by the City of Mobile on Thursday after decades of drug activity. Barber himself took the first piece of the house down, making use of a backhoe. As he stepped down he told reporters it felt good to have a part in bringing the house to the ground. Officers and city officials were able to tear down the home after the city purchased it and had it declared a “drug nuisance.” Barber said the criminal approach wasn’t working, so — as it has done a few times since 2014 — his department used the civil arm to seize the property through the courts. After a five-month operation in the Campground area, police documented more than 600 drug transactions from the house, 50 of which were undercover purchases cops made themselves. With that mountain of evidence, police put a restraining order on the home in February preventing anyone — including the owner — from using the house. However, Barber said the police work in these cases doesn’t take up the time the legal work does. Barber said it’s typical for police to notify property owners if a location is causing problems with drug activity. They are often given a letter suggesting they could face civil penalties if the problem continues, but must often assume the department is bluffing or doesn’t have the legal authority to seize their home. Despite that, the 81-year-old woman who owned the home is now transitioning into a facility run by the Mobile Housing Authority, and Barber said she didn’t want to come back after the police showed up. Lagniappe has chose not to print the woman’s name, but according to authorities she had been “trapped” in the house by relatives and their associates who were using the property to sell drugs. A diabetic, the woman was immediately taken to hospital after the home was raided and kept there for a week. Barber and Mayor Sandy Stimpson said she was a prisoner in her own home. 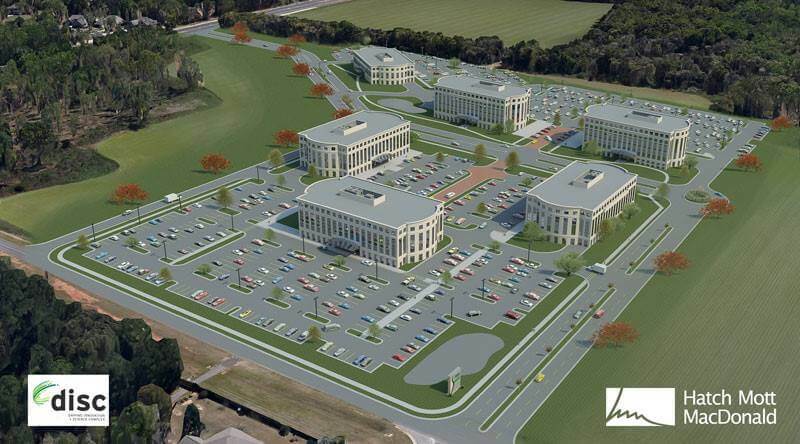 Stimpson said the city has purchased the property from the homeowner and had turned it over the Martin Luther King Redevelopment Authority — a nonprofit that works through federal funding to build affordable housing. The Authority has put more than 100 homes in the area and has plans for two additional affordable housing units on the corner where the house used to stand. Bruce Malone, who has lived next door to the house for 25 years, said there used to be drugs being sold 24 hours a day at the house. He said there were “crackheads and prostitutes” walking the streets and often fights and gunshots. Malone said he was glad to see the neighborhood under control, and he wasn’t the only one. Others from the Campground came down to watch the house topple and share hot dogs and sodas with the police officers. The Mobile Police Department joined Campground residents May 14 to celebrate the destruction of a notorious drug property. However, not every resident was thrilled the police were “throwing a party” in the middle of the road. William Blevins, who openly admitted he has a criminal record, said he was glad the house gone, but didn’t think the “the spectacle” was necessary. Though even as a critic of the celebration, Blevins said the police had done good work in the neighborhood. It’s worth pointing out that’s what the administration is trying to do. Both Barber and Stimpson have walked the streets of other neighborhoods including Toulminville, which the pair visited later on Thursday afternoon.